Coming into this year we knew Jordan Brand was going to bring an impressive lineup of kicks all year to celebrate their 30th anniversary. Keeping their word, Jordan Brand has brought us nothing but heat so far - even lacing up the GS sized collectors with some great kicks. 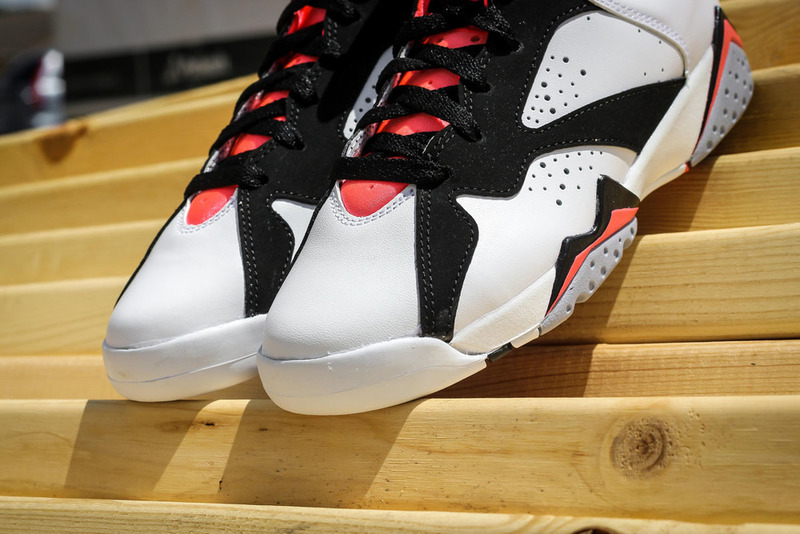 One of the newest GS exclusive sneakers set to release this month is the Air Jordan 7 GS “Hot Lava." We've previewed the sneaker in the past, but this may be the best look we've got so far. The sneaker uses white leather as its base while black nubuck overlays give the sneaker a nice contrast. Hot Lava hits throughout add flavor to the design and ultimately creating the sneaker's nickname. To keep things simple, the sneaker is finished off with a grey outsole. Hitting retailers like Rock City Kicks July 11th, let us know if these are on your radar.